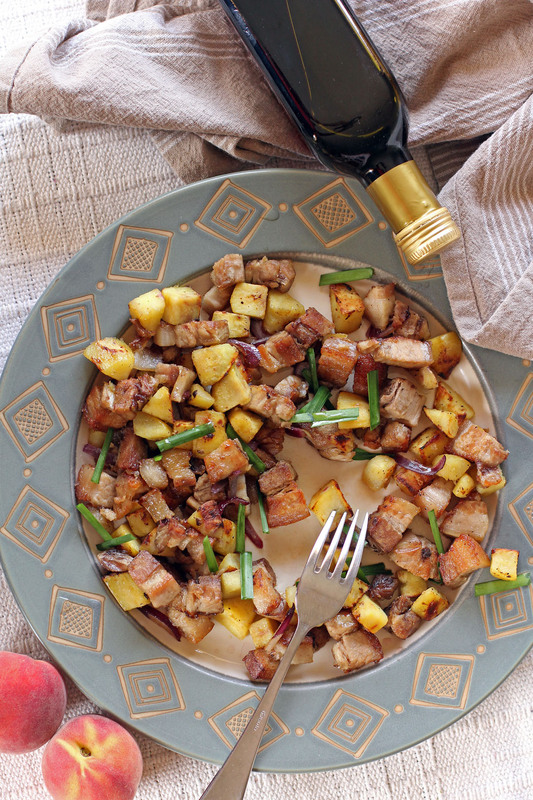 As a pork lover when I saw this post at Bon Apppetit I told myself I have to do some of them and first on my list was this Sweet Potato and Pork Belly Hash, it was really good and simple you just need a lot of preparation time as the pork is twice cooked. I also did some minor changes because of the available ingredients to me at that moment and here is the result, all I can say is that I am glad I tried it out now I will have to do those other pork recipes on the list. Generously season pork belly with salt and pepper. Place it in Dutch oven over a stove top together with garlic, onions and stock. Bring it to a boil then turn heat off. Place in a 140C preheated oven then braise for 3 hours. Remove from oven then place pork belly on a separate dish, place another flat object on top of it (i.e. chopping board, baking dish), something a bit bigger than the pork and place something heavy on top of it to flatten the pork evenly. Secure your weights so it does not topple over then place them in the refrigerator to chill overnight. Remove from the refrigerator then cube them into half inch pieces. In a pan add oil, once hot add pork and brown it on all sides. Remove pork then set aside. Using the same pan add oil then add the sweet potatoes, cook for 8 minutes. Add the shallots then cook for 2 more minutes. Add the pork in then drizzle the red wine vinegar and honey on top then toss to coat, cook for 2 more minutes. Place in a serving platter then serve garnished with chopped chives. This looks like a lot of work, but worth the effort? And what is it about pork and sweet potatoes that just makes them look so delicious together? In the past, the only pork belly I tried came from Chinese restaurants. Last year, I tried a pork belly dish while traveling through Sonoma County (California Wine Country). What a huge improvement. I couldn’t believe it. 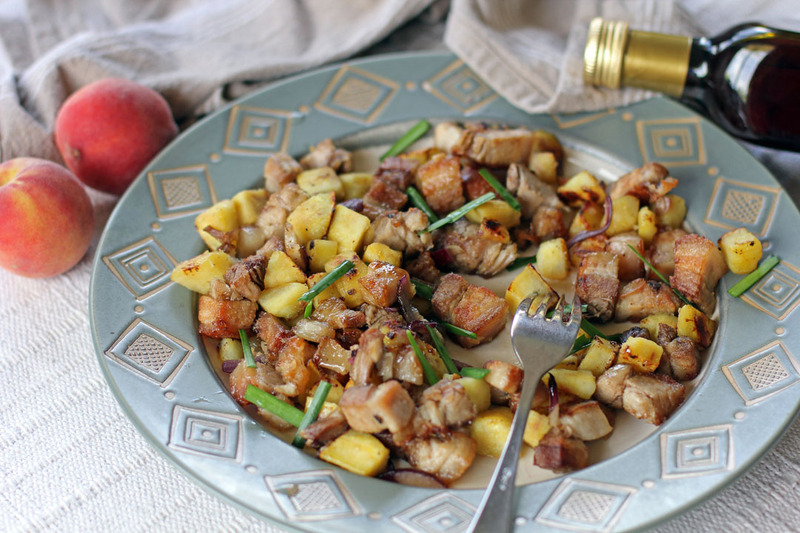 If I can find a butcher around here who sells pork belly, I’ll surely give your recipe a try! This is like a gourmet sweet potatoes and bacon. Amazing dish!!! Two of my favorite ingredients. In the world. Together. This looks so delicious and tasty. Love that you add honey and vinegar at the end! I bet it makes the hash really special!